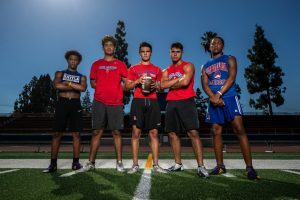 One of the biggest surprises over the winter was the firing of Los Altos coach Hector Spathias, a walk-on who took on a rebuilding team and turned it into a winner that finished last season 7-4 overall and third in the Hacienda League. There’s still time to help our team meet their fundraising goal. Click on the Link below and donate to the program.